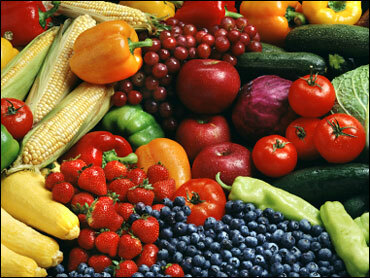 Each year, 76 million cases of food-related illness are reported in the United States. We've all heard about restaurant workers not washing their hands or perhaps contamination coming from a farm. But "Early Show" Consumer Correspondent Susan Koeppen says a new problem in the food chain has come to light. Wooden or plastic pallets transport almost everything you eat, from the farm all the way to stores and everywhere in between. But sanitation tests are raising questions about whether this very vital link in that food chain may be broken. Pallets are often stored in warehouses or outside behind grocery stores, where they're easily reached by debris from garbage or bacteria from animals. According to the National Consumers League, about 33 percent of the wooden pallets it tested showed signs of unsanitary conditions, where bacteria could easily grow. Ten percent tested positive for e. coli, which can cause food poisoning, and 2.9 percent had an even nastier, and often deadly, bug called listeria. Food safety expert Lisa Berger says, "It's very serious when you find any amount of Listeria, because it is a very dangerous bacterium that is associated with a 20 to 30 percent fatality rate. And it could easily contaminate the food if the pallets or other surfaces are contaminated." Sally Greenberg, executive director of the National Consumers League, says the findings may indicate that our food supply could be at risk. The league says its tests are just a start, and now, it's up to the industry and the federal government to do a better job to ensure the safety of our food supply. The National Wooden Pallet and Container Association says wooden pallets have proven a safe method to transport food. In six decades of use, neither the Food and Drug Administration nor any other monitoring agency has linked wood pallets to a health-related incident. The FDA says it plans to carefully review the new tests and gather the data needed to help make sure food is transported safely.